Raleigh, N.C. – On June 25, 2014, Christopher Smith, the head of Smith Anderson’s Business Litigation Team, spoke to lawyers and executives representing companies located in North Carolina’s Research Triangle area in a presentation titled, “It's 2014: You Will Be Hacked! ” The presentation offered legal insight on today’s increased risk for a data breach, advice on how to protect your data from being compromised, creating a culture that helps prevent security breaches, and, in the event of a security breach, how to respond. To view the presentation slides and supplemental materials, CLICK HERE. Chris’ presentation is part three of four seminars in Smith Anderson’s 2014 Executive Roundtable Series. The program is designed to provide practical strategies on important day-to-day risk management issues for companies. The fourth seminar, “Your Company's Trade Secrets: What Can You Protect? How Should You Protect It?,” is scheduled for October 22, 2014. 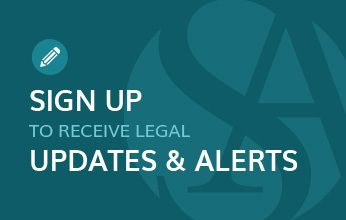 For more information, please contact Susan Hargrove at shargrove@smithlaw.com. Smith Anderson strives to provide its clients with effective legal advice on how to protect, manage and maximize their use of data, innovations and other knowledge assets. To further those efforts, Smith Anderson launched www.SafeguardingBusiness.com with educational content that is focused on safeguarding business’ innovations and confidential information, including DATA BREACH STRATEGIES with recommended guidelines on how a business might prepare for and respond to a data breach. Chris is a trial and appellate lawyer who counsels clients on business strategy matters. He manages large multi-party and multi-jurisdiction litigation projects, as well as mission-critical projects for clients. He has significant experience in business disputes, trade secrets, environmental litigation and risk management, and with matters designated exceptional and complex, and assigned to the North Carolina Business Court. He both prosecutes and defends claims, and advises clients on business risk management in a variety of areas. To learn more, visit his bio at www.SmithLaw.com.